Not sure about you, but I think this summer has been the hottest that I could remember. The heat just keeps simmering my entire body. Did you know that heated skin is more prone to sebum production and aging? Your skin dehydrates faster and encourages bacteria growth. So if you have acne-prone skin, summer is the time that you should take extra care of your skin, make sure it is not over-heated. 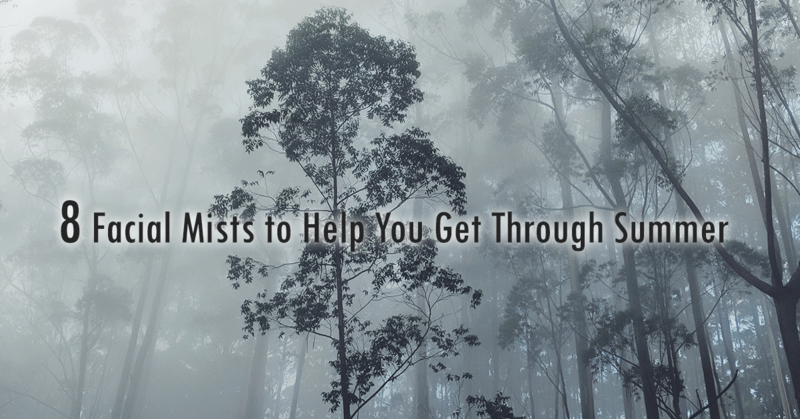 This is where facial mists come in handy. You can spray these guys whenever and wherever. 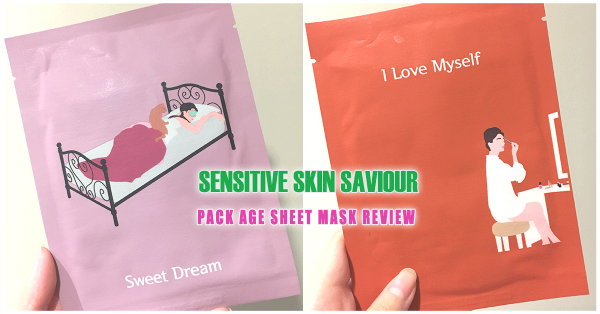 They help to lower skin temperature and control sebum production. Facial mists are usually lightweight, which makes them the perfect toner for the summer time. They penetrate deeply into the skin and hydrates the skin without overloading the skin. Here are 8 facial mists that you’re bound to find one that suits your skin’s needs. I’ll start with my favourite makeup fixer of all time. This mist is super-fine that you wouldn’t see any water droplets on the face. It doesn’t disturb your make up but fix them in place. My favourite part about this mist is that it takes off any powder-ness in your foundation, making your base makeup looking natural and skin-like. I have noticed a significant difference in my oil production when I use and don’t use this to set my makeup. My foundation can usually last all day with this fixer. The 50ml packaging is perfect for handbags. 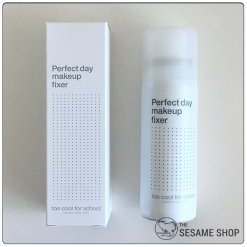 Mist this whenever you need a bit of hydration or when you need your makeup to last longer. I’ve recently finished an entire bottle of this. This mist is so refreshing and hydrating. It contains my favourite Houttuynia Cordata Extract and various ferment filtrates that effectively controls sebum production, strengthens the skin barrier and brightens the skin. I love spraying this mist right after cleansing, to allow the nutrients to penetrate deeply right into the skin. My skin feels clearer, hydrated and radiant when I use this mist. Read my full review of this product here. This is one of our best selling toner of all times. Cosrx AHA BHA Clarifying Treatment Toner contains both AHA and BHA to gently exfoliate the skin and keep the pores clean. The low pH formula ensures the skin’s pH is balanced at its optimum level. Unlike the others mentioned, I wouldn’t recommend re-applying this throughout the day due to its acid contents. When using acid products during the day, make sure you always follow with a high SPF sunscreen. For sensitive skins, this is your life saviour. 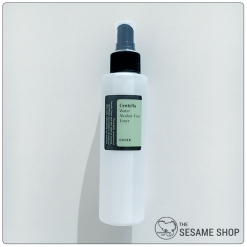 Pyunkang Yul’s Mist Toner is simple, calming and hydrating. There are only 5 ingredients in this mist and the top is Coptis Japonica Root Extract or Huang Lian. Huang Lian is an oriental medicine that detoxifies and lowers the heat of the body. Therefore, Pyunkang Yul Mist Toner lowers the skin temperature through its medicinal effects and not just because it is a mist. The spray of this mist is not as fine as the two above, so you may want to hold the bottle further away from your face if you’re spraying on top of makeup. Otherwise, it’s a great toner to use on bare face after cleansing. 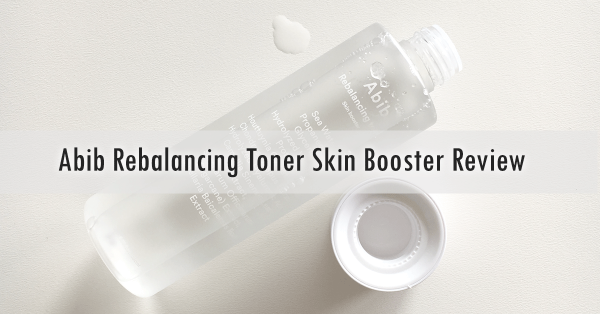 Another soothing and refreshing toner for the sensitive skins. If you’re after a simple water to be sprayed over the face, this is the one. Cosrx Centella Water Alcohol Free Toner contains 10% Centella Asiatica Leaf Water and 82% Minteral Water from Jeju Island. Centella Asiatica is great for soothing irritated skin and repair damaged skin. This toner is lightweight and refreshing. The mist is fine enough to be used over makeup during the day. More on the benefits of Centella Asiatica. 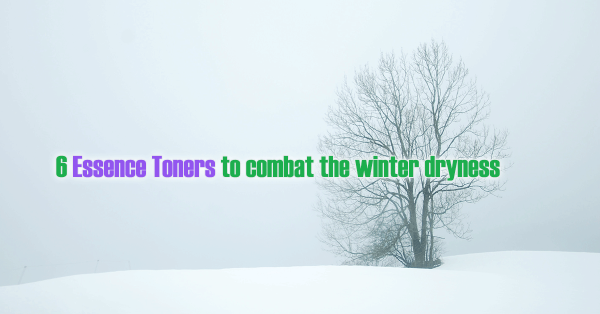 Do you have dry skin and found mist toners not hydrating enough? You may want to check this one out! Cosrx Low pH PHA Barrier Mist uses Coconut Extract in place of water which contains loads of minerals and vitamins and is highly hydrating. The low content (0.5%) of PHA gently removes dead skin cells and unclog the pores without you even noticing. Again, always follow with a high SPF sunscreen when using acid products. Another refreshing mist that’s highly hydrating. This mist from Hyggee contains Birch Sap Juice and fermented lactic acid to deeply hydrate, plump and nourish the skin with its high contents of amino acids and vitamins. Did I tell you that Birch Sap Juice is another of my favourite ingredients? Why? Because it’s super effective and an all-rounder. It hydrates, brightens and anti-ages. So you’ll love this pick-me-up mist which will transform your skin over long-term. The gentle formula can be used by all skin types and suitable to be re-applied during the day to lower your skin temperature and re-hydrate the skin. Finally, the newest addition to the Cosrx family. Cosrx Cooling Aqua Facial Mist is another soothing and hydrating mist toner that can be applied whenever and wherever. 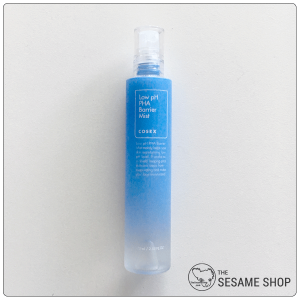 This toner contains Aloe Leaf Water, Centella Asiatica, Guaiazulene and Madecassoside to calm down irritated and heated skin and build a stronger barrier. This entry was posted in Skincare and tagged hydrate, mist toner, soothe, summer, toner.